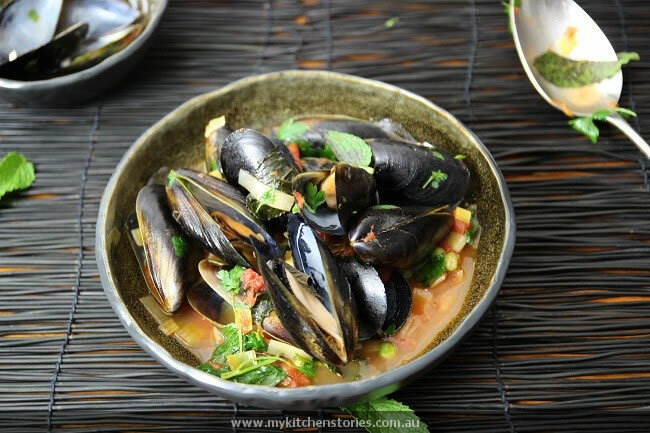 Mussels have got to be the quickest seafood dinner you can make. They truly are a 15 minute meal. They are also the most flavourful and easiest seafood you can cook. They always present with an unbelievably delicious soup and that’s a fact. Heat the pot and add 1/2 the olive oil. Add the leek , garlic and anchovies and sweat till softened without colouring. Turn up the heat a little and add the tomato, peas, ( chilli if using) and bring up to the boil add the Mussels (and a touch more oil if you love the taste). Put the lid on and simmer for 5 minutes on high ( or until you see a bit of steam escape. Then take off the heat and shake the pot and put the lid back on for 5-6 minutes. All of the mussels should be open. Add the chopped herbs and serve . 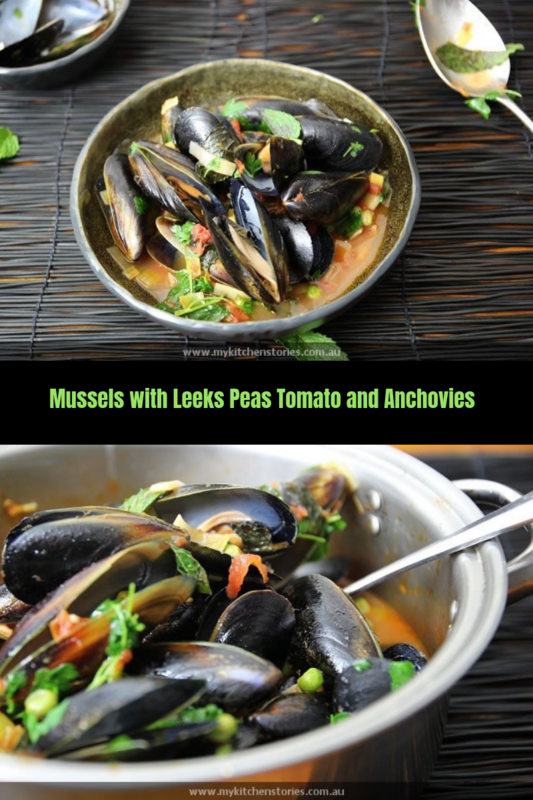 Try this mussel recipe too. Ooh, those mussels are making me drool. Now I want to make this for dinner tonight! Ok if I liked mussels I’d totally go for this dish. I’m sure Jamie must have stolen the idea from you. I do love him too though. Yes, yes, yes: a big ‘like’ factor here! Even tho’ ordinary anchovies will probably have to do!! I also saw the Jamie Oliver take on this. Quite oddly I love his 15 minute meals a heap better than the 30 minute ones: somehow they have been a wonderful combination of easy AND interesting! Swore I would never buy another cookery book [they are all over the cottage! ], but think may make this one of my Christmas presents! Meanwhile shall try your version 😀 ! Hello, Yes I agree I do like is 15 minute recipes. Go on get yourself one! My husband would love you for this dish. Mussels are such a favourite of his. He usually steams them with garlic and chillies but this sounds extra tasty. I will let him know about your recipe. A lovely mussel dish! I am too a fan of Jamie. 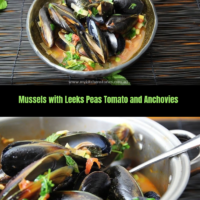 These mussels look really delicious! I have been afraid of making them because I’m not sure I’ll like them, but I always think they look so good! I’ll have to give it a try. Tania, that looks AMAZING! 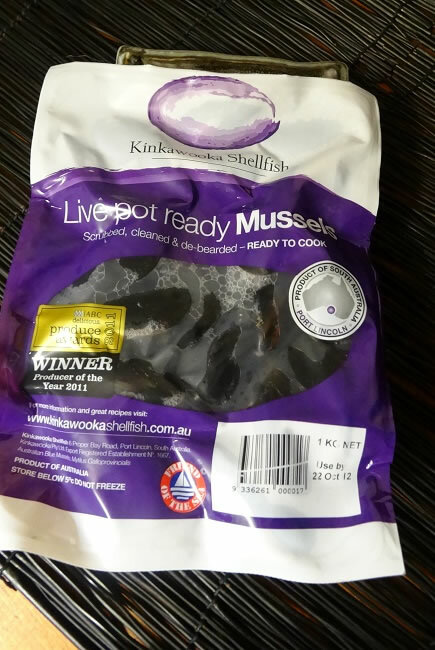 I adore mussels – will look out for that brand too, thanks for the headsup!